Why Do So Many Practitioners Choose Metabolics Supplements? As a practitioner we know that you want the best for your patients. Many practitioners that use Metabolics nutritional supplements do so simply because they get the most positive results for their patients. We believe this is because of the purity of our products. You’ve probably heard a thousand times before companies stating that they only use the “purest ingredients”. Metabolics have a commitment to purity and when we say we only use the purest ingredients, we really mean it. Many of the best practitioners in the world look for stearate free nutritional supplements because they recognise the value of high quality nutrition. The absence of stearates, binders, fillers and excipients make Metabolics supplements the practitioner’s choice. We also find that our extensive range of liquid vitamins and minerals are very popular because many practitioners find that they are effective and easy to swallow for their patients who are either elderly or very young. 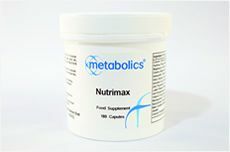 Metabolics gives you the assurance that you are recommending the very best nutritional supplements to your patients. We go that extra mile to and provide an excellent level of service and support you and your patients. We share your commitment to exceptional patient care. Contact us on 01380 812799 or email sales@metabolics.co.uk for more information on all the benefits of joining as a Metabolics recommended practitioner. Though out the year we carry out CPD training seminars all around the world. With events in the UK, Russia, Australia, the USA and much of Europe we have attendees from a range of different professional backgrounds. Trust Is Of Paramount Importance. Simply fill in the form below and one of our friendly account managers will call you back! Alternatively you can call us on 01380812799 today to register with us and find out about other benefits available to you from Metabolics.com.